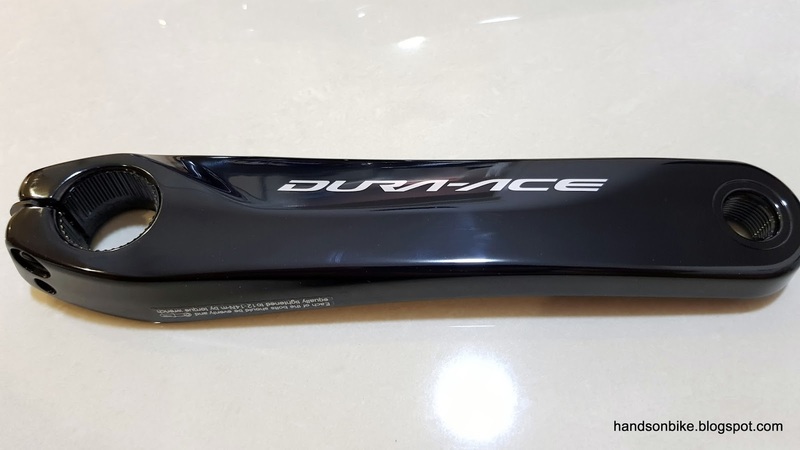 After introducing the new Dura-Ace road hydraulic components, it is time to round off the groupset with the rest of the parts. Although the new Dura-Ace comes in four different "flavours" for shifting and braking (Mech/Mech, Mech/Hydraulic, Di2/Mech, Di2/Hydraulic), the crankset, cassette and chain are the same for all of these different setups. 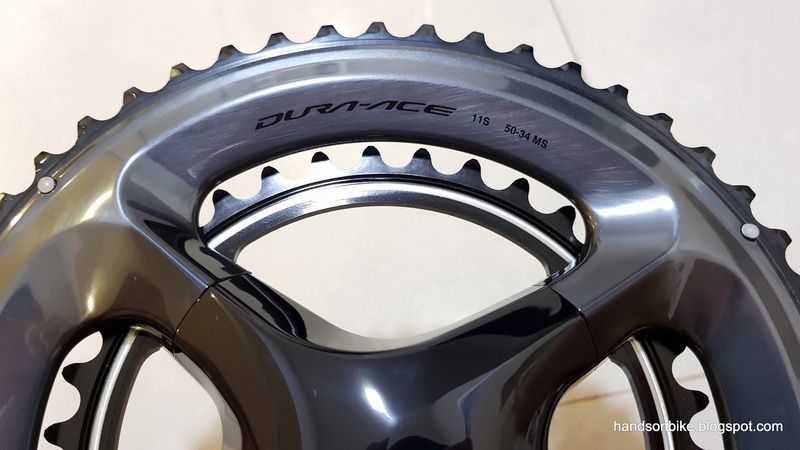 For the chain, there is nothing new about the new Dura-Ace chain, the CN-HG901. 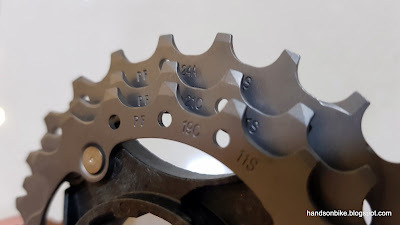 It is actually a Dura-Ace/XTR grade chain that is also compatible with the 11 speed MTB drivetrains from Shimano. Let us now look at the Dura-Ace 11 speed cassette CS-R9100, followed by the new Dura-Ace crankset FC-R9100. 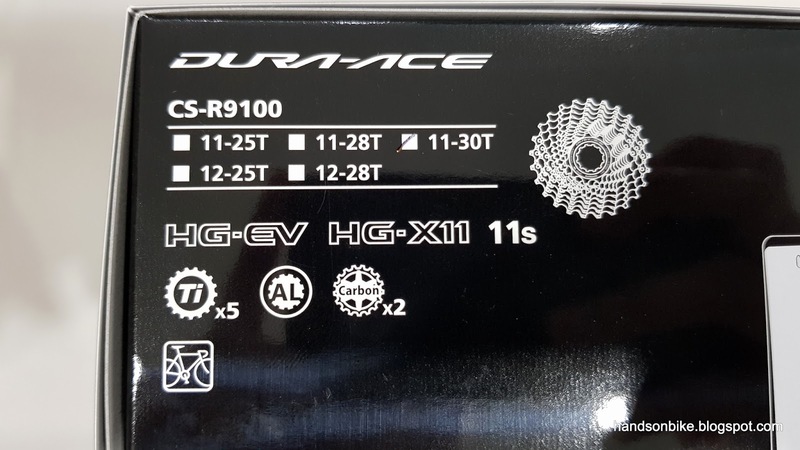 For this new R9100 generation of Dura-Ace, there is an additional cassette combination that is available, which is the 11-30T cassette. 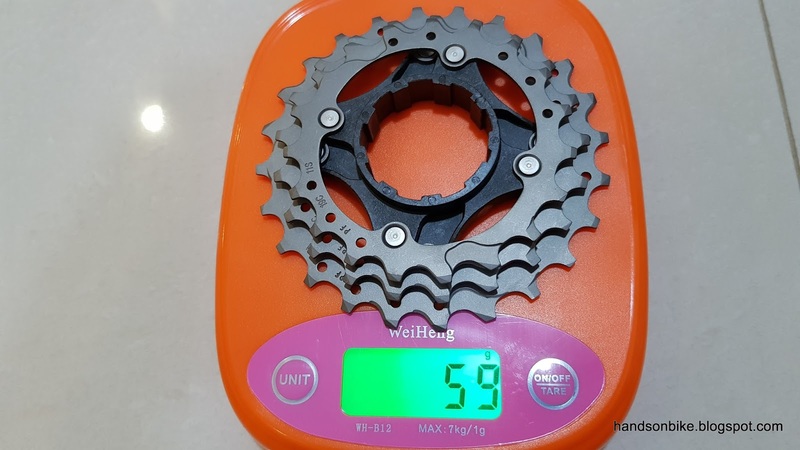 This cassette has just a little bit more low end gearing, as compared to the most commonly used 11-28T cassette. 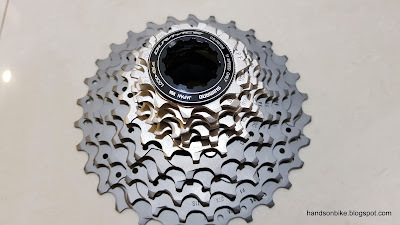 This is the cassette that I chose to get, in order to get a good low gear that will help me in climbing up steeper slopes. As Dura-Ace does not officially support a 32T low sprocket (found on the Ultegra 11-32T cassette), 30T is the lowest sprocket that can be used. 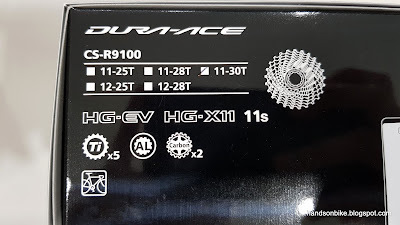 Dura-Ace 11 speed cassette CS-R9100, available in these combinations. 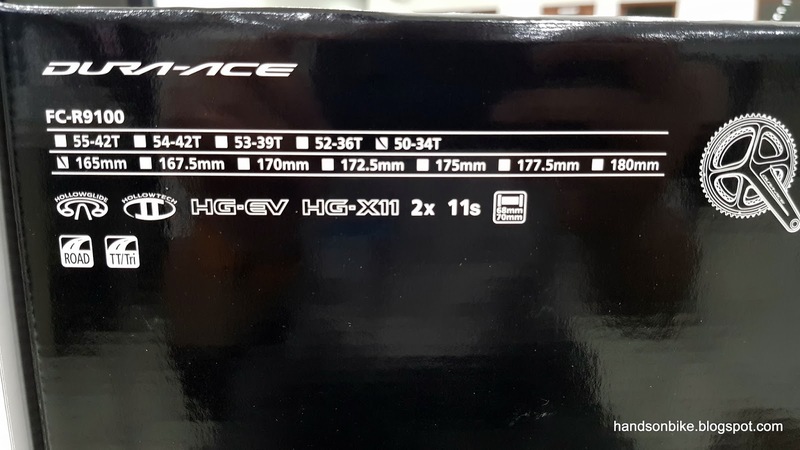 Mine is 11-30T. 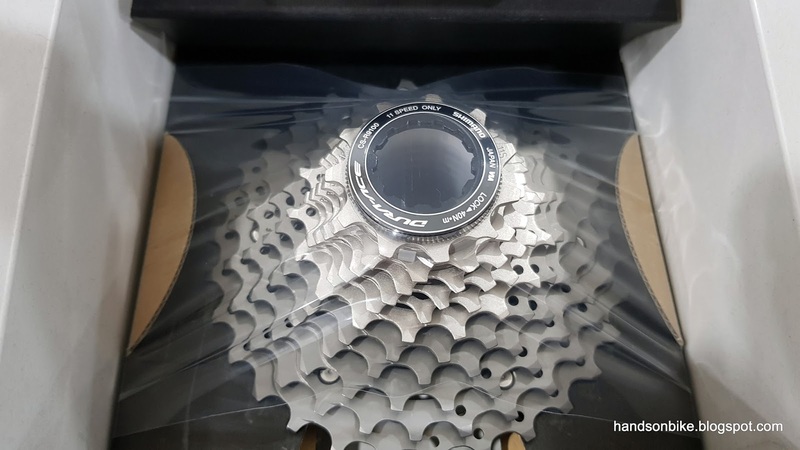 Unboxing the cassette! Held in the box with a layer of cling wrap. Shiny new Dura-Ace cassette! It makes me happy to see a clean cassette. 11-30T laser marked onto the cassette spider. 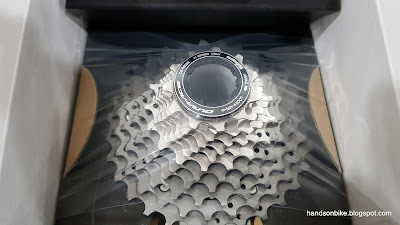 For this cassette, the last two gears (27T and 30T) are riveted together onto the aluminium spider. The next three gears (19T, 21T, 24T) are riveted together onto the carbon fibre spider, similar to the previous Dura-Ace CS-9000 cassette. 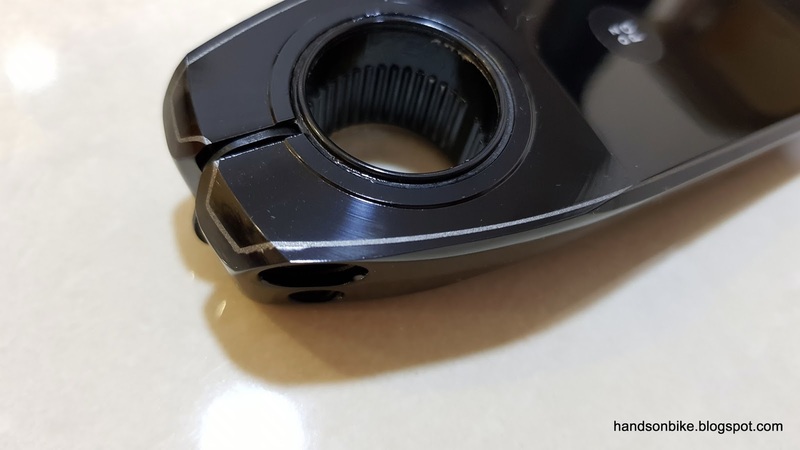 Carbon fibre spider is used for gears 3 to 5 to save weight. 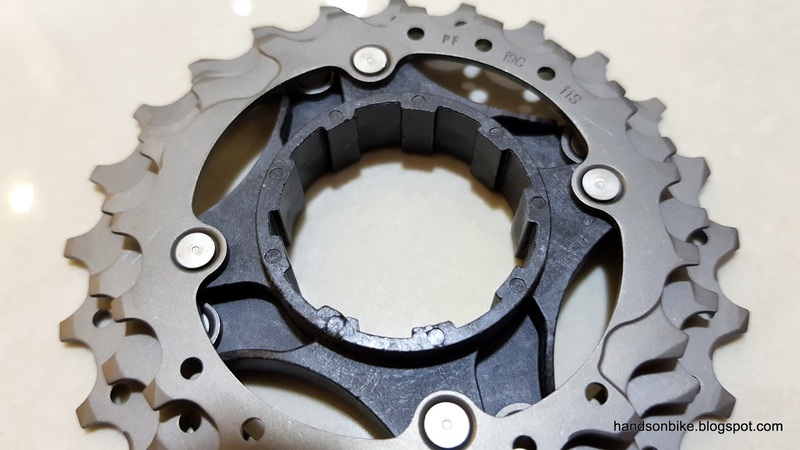 The special rivet layout that seems to provide greater strength and support for adjacent gear sprockets. 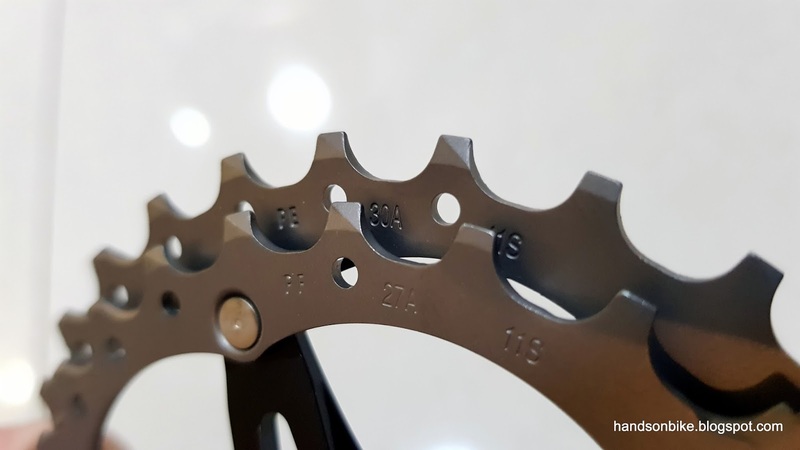 Aluminium spider with the titanium 27T and 30T sprockets weigh 64 grams. 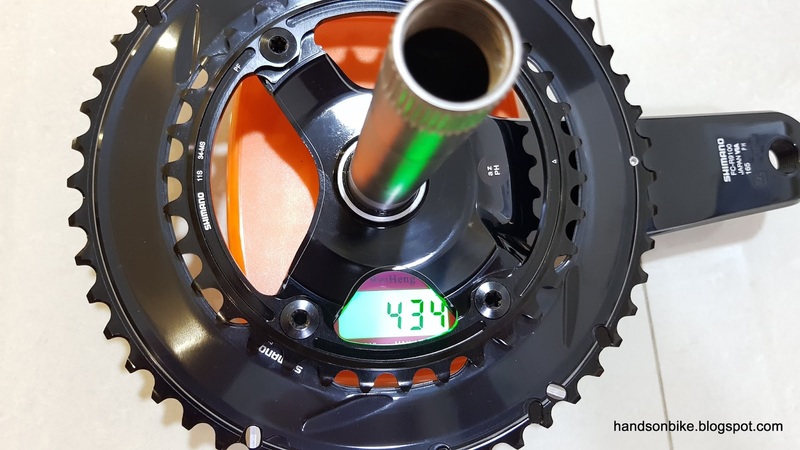 Carbon fibre spider with the titanium 19T, 21T and 24T sprockets weigh 59 grams. Whole 11-30T cassette weight is 206 grams, which is on the slightly heavier side due to the larger sprockets which of course weigh more. 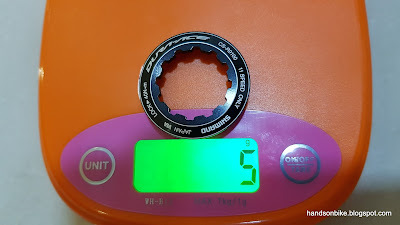 The 11-25T CS-9000 weighs only 176 grams. 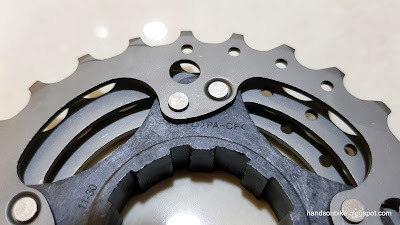 As far as I can tell, there is no major change in the sprocket design as compared to the previous generation of CS-9000, just an additional 11-30T specification. 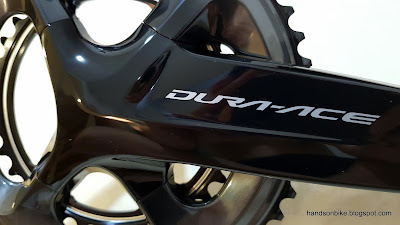 Next, let's look at the new Dura-Ace R9100 crankset. 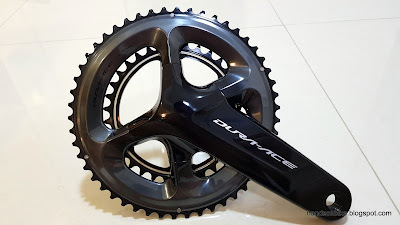 For this crankset, I decided to get a length that is shorter than the commonly used 170mm crank arm length. 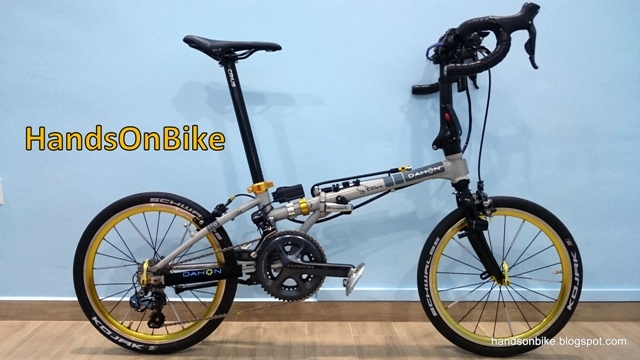 In the industry or market, the most common crankarm length is definitely 170mm. This is a standard length that will fit the greatest number of people. 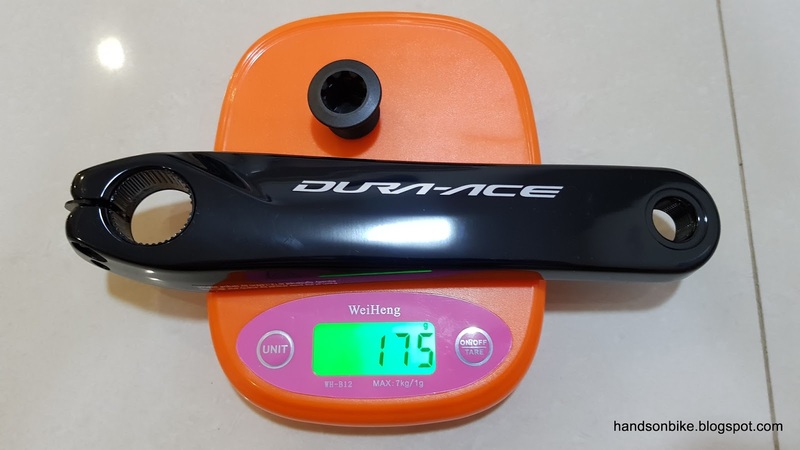 Larger sized frames will come with longer crank arms, such as 172.5mm or 175mm. However, according to my personal experience and also some research that I have done, it seems that a shorter crankarm length may be more suitable for me. 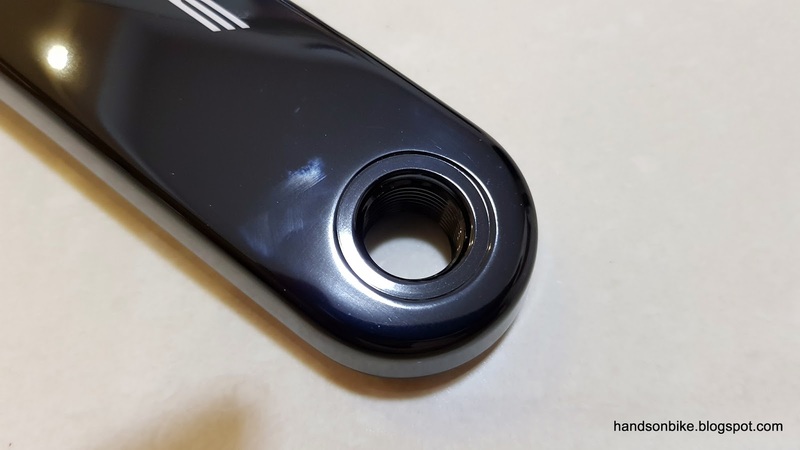 I first tried a shorter 165mm crankarm length on the Merida Scultura road bike, followed by on the Avanti Inc 3. 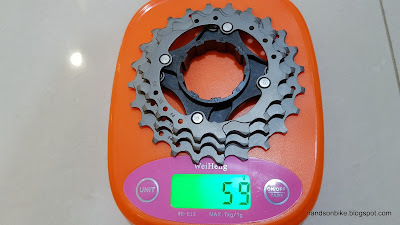 I liked the 165mm crankarm length as it allows me to raise the saddle higher by 5mm, and also allows the hip angle to be larger when using the drops. 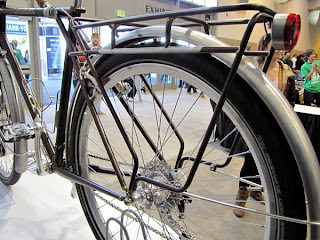 All these changes improves the pedaling efficiency, with no downside. 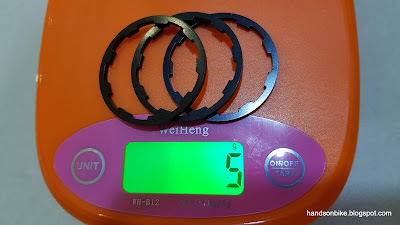 Based on my experience, 165mm is good. 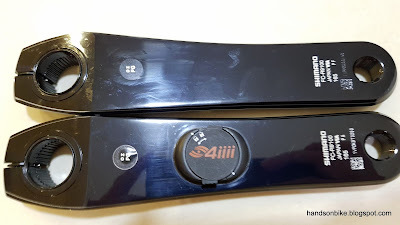 What about the research supporting this? Referring to the research from the link above, with my inseam and height, different bike fitting methods all point to a crankarm length of 165mm that is ideal. 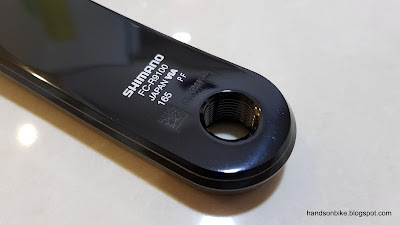 There is potentially some gains to be found from a more comfortable and efficient pedaling position, and basically no disadvantage for me to use a 165mm crankarm as compared to 170mm. 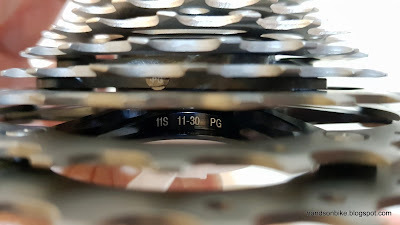 Research and personal experience both points to 165mm being more suitable for me, which is why I decided to get a 165mm crankarm which surprised quite a few people. Smart looking crankset, with the new black colour that will match almost any bike. Interesting colour gradient, with black in the middle slowly fading out to grey towards the outside of the chainring. 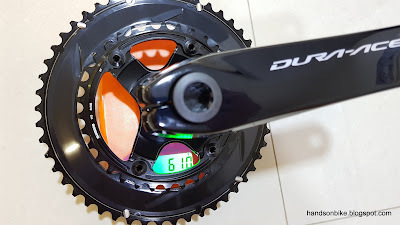 Hollow area behind the crankarm is concealed, much like the Dura-Ace 9000 but different from Ultegra 6800. 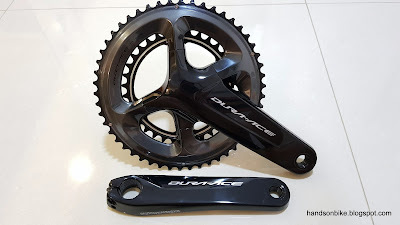 Left crankarm does not look so different, although the black colour is nice and shiny with a good looking appearance. No more sharp edge at the rear of the crankarm where the front and back portions are bonded together. The bond line is visible here, as indicated by the silver line. In total, this 50/34T crankset with 165mm length weighs just 610 grams (rounding off error). This is the lightest specification with the smallest chainrings and shortest crankarms. 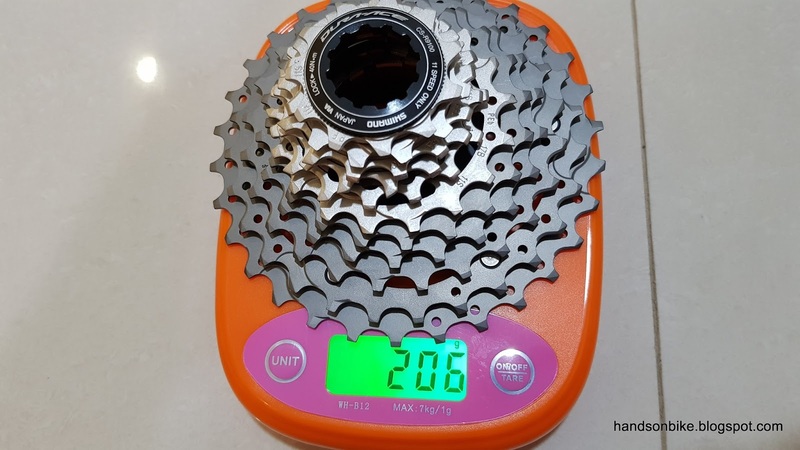 With this new cassette and crankset, the gear range will be slightly affected. 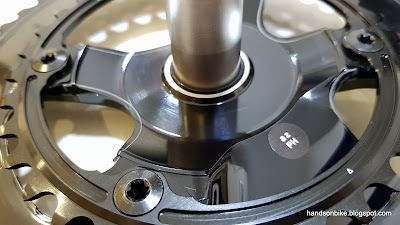 As shown in the table below, the top end gear range is reduced slightly, with the low end gear range maintained. 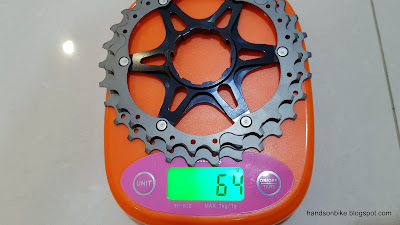 Out of these 2x11 speed gears, there are 14 unique gear combinations as shown by the blue highlighted boxes. 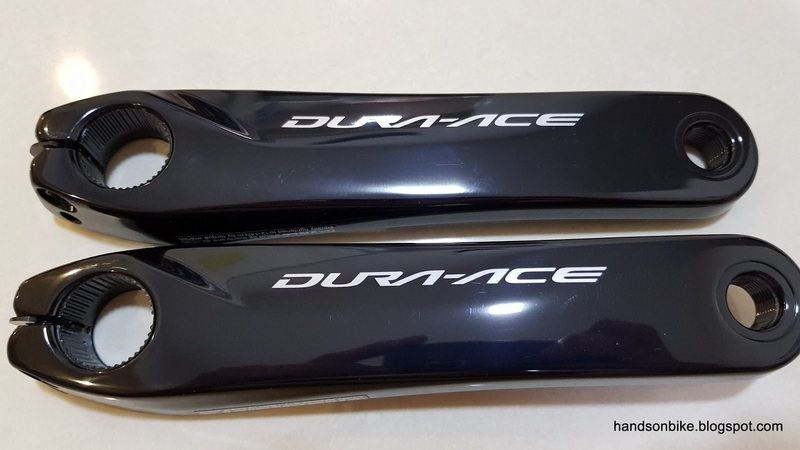 One thing to note is that the new Dura-Ace Di2 locks out cross-chain combinations electronically, making it impossible to shift into those extreme cross-chain combinations (Eg. front low, rear top). 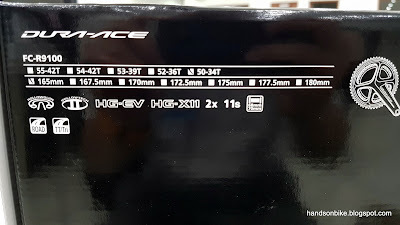 I will learn more about this when I install the whole system onto the bike. Wait a minute, why are there two Dura-Ace left side crankarms? Guess what, I bought a left side power meter from 4iiii! 165mm length on Dura-Ace R9100 left crankarm to match the crankset. This new Dura-Ace crankset is very similar in weight as the previous generation, while improving the stiffness with the chunky right crankarm construction. 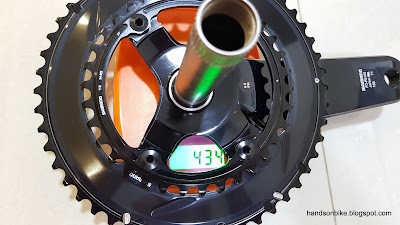 With the left side power meter from 4iiii, I will be able to get one sided power data on this bike, which is useful to gauge how much effort I am putting in versus the speed. Useful to have for more objective comparison or testing, or even training (although that is not my purpose).